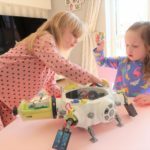 L.O.L Surprise are everywhere and are extremely popular with little girls and boys who love collecting them, just like Milly. 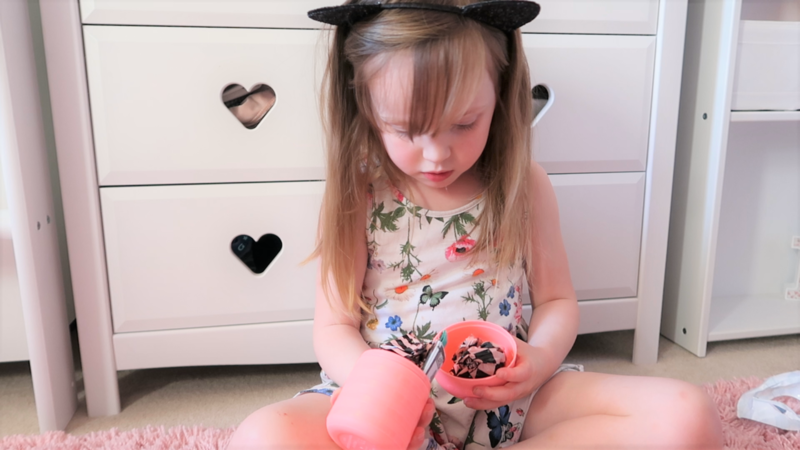 We have previously reviewed an L.O.L pet which Lydia loved but now they are Emily’s craze and she was delighted to be sent not just one, but two L.O.L Fuzzy pets to un-box and show you all. 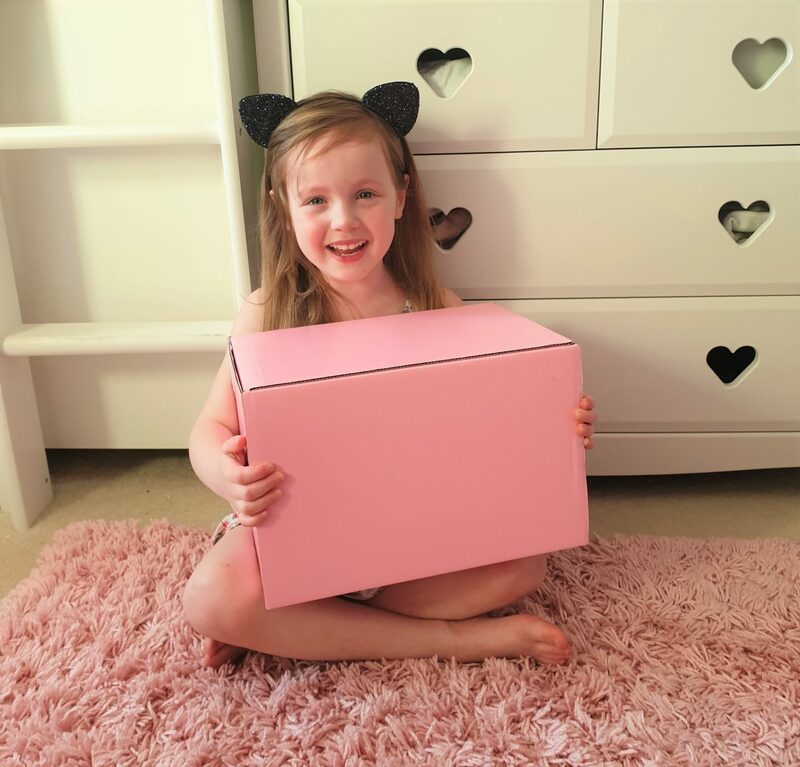 She came home from school and was greeted to happy post in the form of a pink parcel. 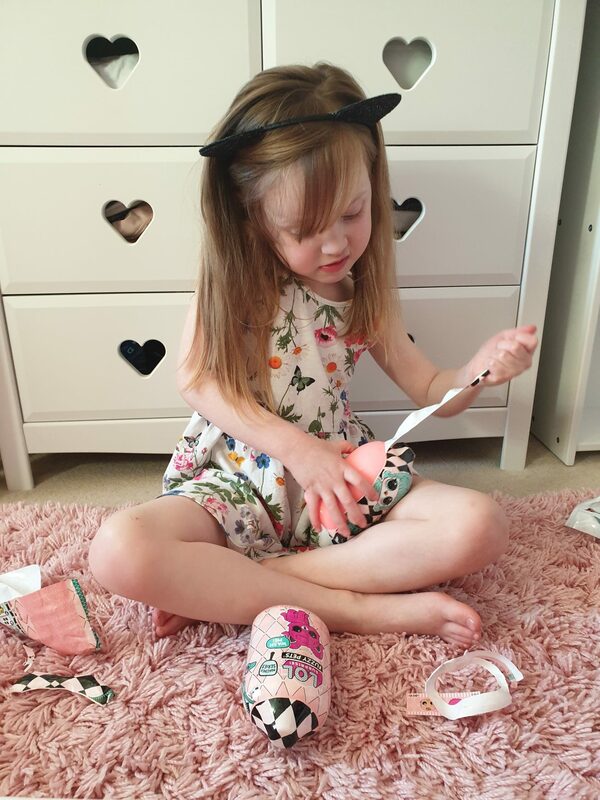 Now the fact the parcel was pink in itself was enough to get Emily absolutely buzzing with delight. 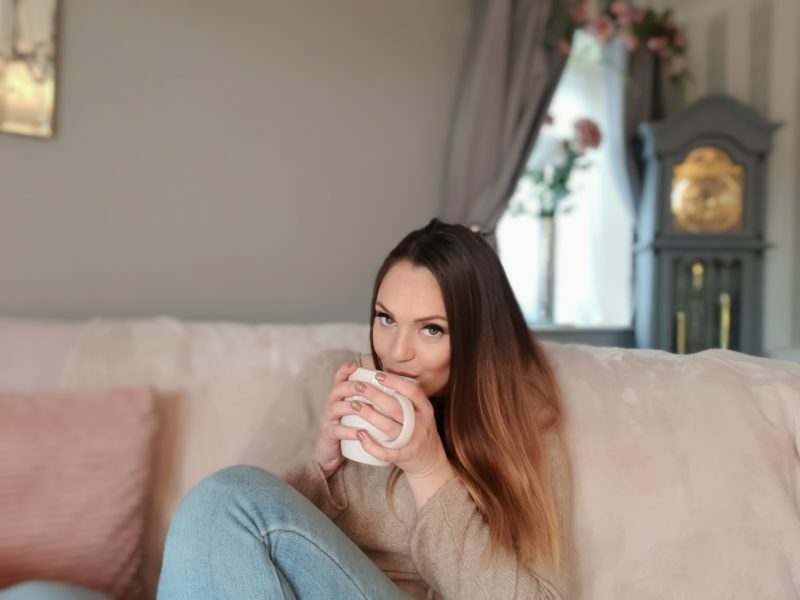 Her face instantly lit up and she could not believe that she had been sent two Fuzzy pets and started ripping the layers off faster than you can say bobs your uncle, can I just add that she has never had this one before. There are seven layers of surprise with all the new L.O.L surprise fuzzy pets and each layer unveils a hint of a surprise of which fuzzy animal you’re going to get. 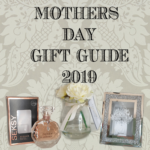 Once you have unwrapped the layers you will find a bottle shaped container, a collectors guide and your BLIND BAGS which is Milly’s favourite and of course the most important part. 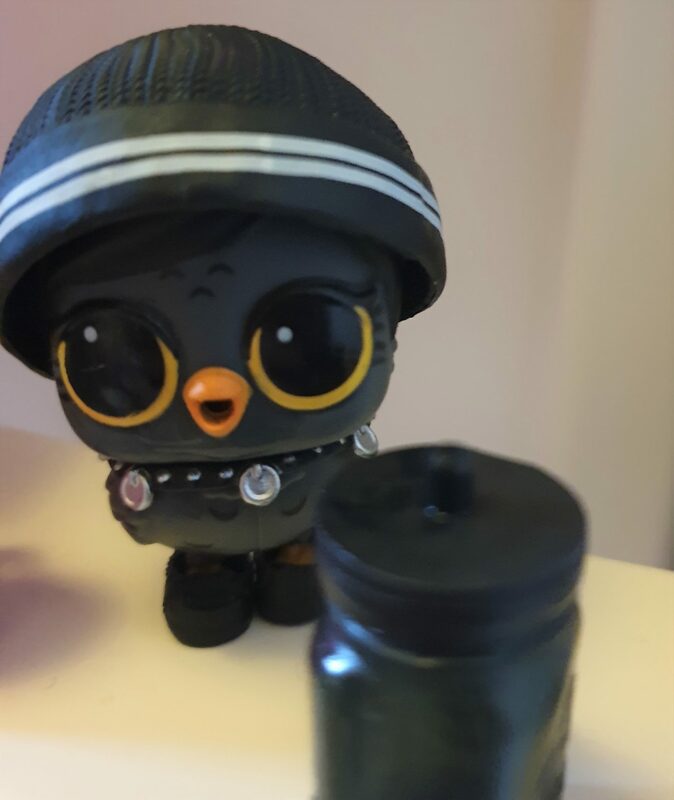 In the blind bags we un-bagged, we got a cute black fuzzy bird called YIN HOOT, bottle, collar, hat, sand tray, poop scoop and the bottle container handle which we originally thought was a bracelet, we soon figured it out. I didn’t actually know what we needed to do with these at first (there are instructions which come with it inside which I failed to look at). Em was quick enough to tell me though, she has obviously been watching these on YouTube. First of all we needed to clip the handle to the top part of the bottle. Place our Fuzzy pet into the bottom half of the bottle. 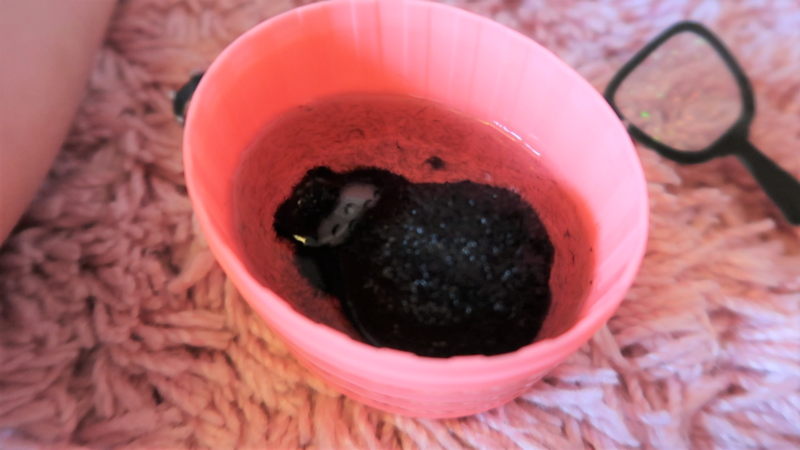 Pour water into the lid and it will filter through like a watering can onto the Fuzzy pet. At this point Em had got her hands into the bottom part of the bottle where the pet was and just played with it in the water. She said she could feel all the fuzz coming away and that it now felt smooth. I would do this part sitting up to the table and not on a rug, due to fuzzy water spills, or pop a towel down. We then revealed a super exciting little pet which looked nothing like it originally did in its fuzzy form. Inside the sand tray, Emily used the pooper scooper to dig for hidden treasures. Inside, hiding in the magic sand were two black shoes which she put on Yin Hoot feet to finish off his outfit and then she could put the sand back in the tray with the lid on to be used over and over again. Our second Fuzzy pet was just as much fun. We received a bright pink fuzzy pet and inside we got GO- GO BIRDIE. As much as we genuinely love these, I would only buy them on special occasions like Christmas or birthdays due to the price and the girls always wanting the same so suddenly the price doubles. You can watch Lydia and Emily’s un-boxing video below to see my reactions and the pets for themselves. Please make sure to Subscribe.